I Don't Know How She Does It Blu-ray Review. Unfortunately at the end of the day, I Don't Know How She Does It is a rather stock standard comedy release of a movie that has missed the mark. 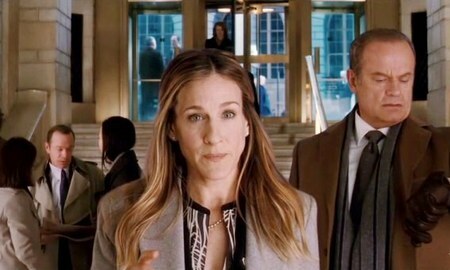 Sarah Jessica Parker stars as Kate Reddy, a working "mom" who is attempting to juggle her career, family, friends and "Kate" time that generally results in chaos. Kate is also a perfectionist which forces her to create to-do lists in her head as she tries to cram as much work into her day as humanly possibly. Kate does have some backup from her husband Richard (Greg Kinnear), however his lack of high-paying jobs as an architect has forced his wife to become the main breadwinner of the family. 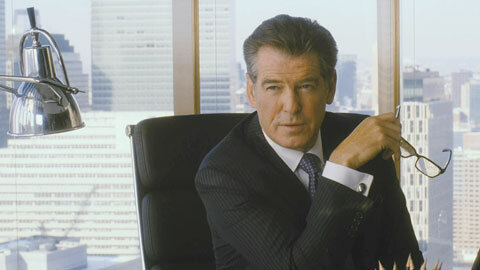 The conflict of the story occurs when her boss Clark (Kelsey Grammer) arranges a new client for their financial firm called Jack Abelhammer (Pierce Brosnan) whom the two share a unique, almost pseudo relationship that in turn forces Kate to breaking point and whether she can continue this dreadful juggling act. Ultimately it comes down to a simple choice for Kate, family or career and this is the whole point of the film. To make matters worse, Kate isn't a very likeable character and Parker plays her very generically. Even her co-stars, Pierce Brosnan, Kelsey Grammer, Christina Hendricks and Olivia Mumm are swamped in this convoluted story that at times can be quite sexist. There is some comedy in this film, however this generally involved the chaotic life of Kate and if you have seen the trailers, you already know that the two funniest scenes in the film will be Kate unbeknown to her adjusting her underwear in front of prospective client Jack or Kate going crazy (internally) about whether she contracted head lice and at the end of this 90 minute film, you'll be wondering why you followed these trivial anecdotes of Kate and wondered again if that 90 minutes could have been put to better use. I understand that the modern woman is busy but I Don't Know How She Does It is a bundle of overused clichés that unfortunately comes together rather blandly in this film. The video quality of this Blu-ray release is exceptional thanks to the 1080p transfer which boasts some images, vibrant colours and some extremely detailed scenes. Audio is equally good with its 5.1 sound track that produces clear dialogue, good levels of sound and a decent soundtrack. Unfortunately at the end of the day, I Don't Know How She Does It is a rather stock standard comedy release of a movie that has missed the mark.